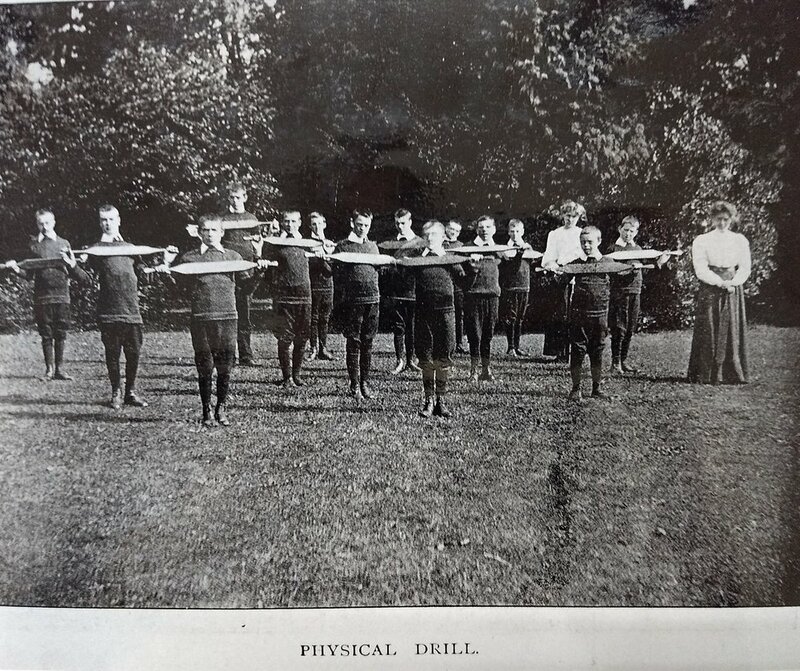 A group of men and boys are in the grounds of Middlefield. 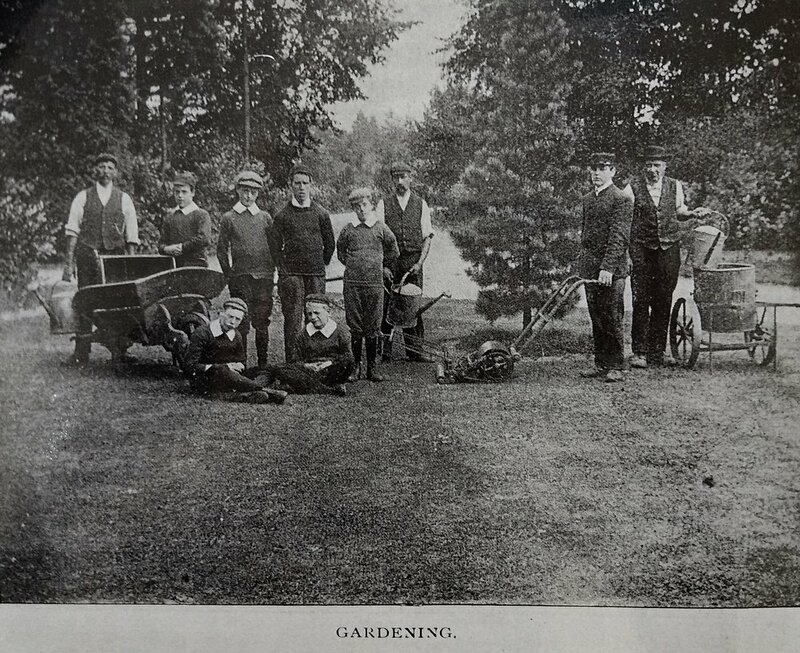 They have wheelbarrows, watering cans and a lawnmower. 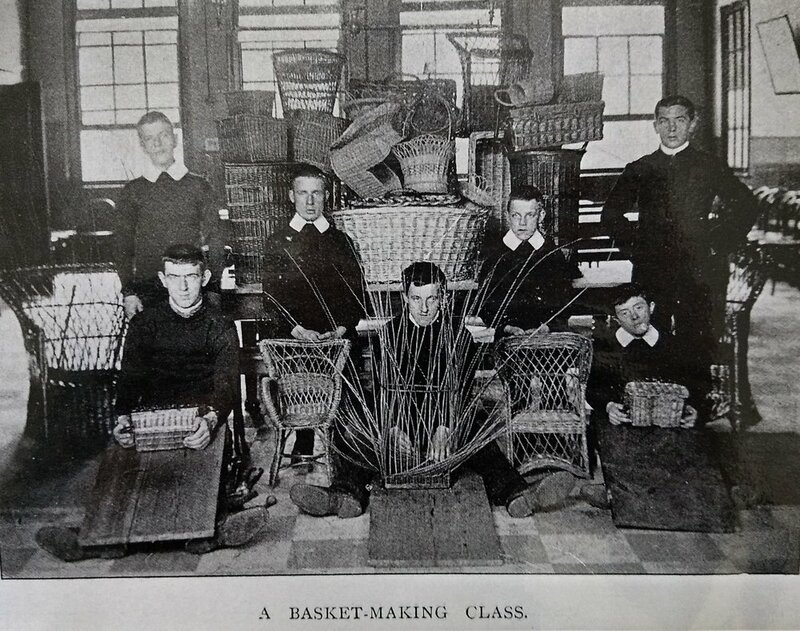 A group of smartly-dressed young men are surrounded by woven baskets and chairs. Weaving was a common activity in learning disability institutions. 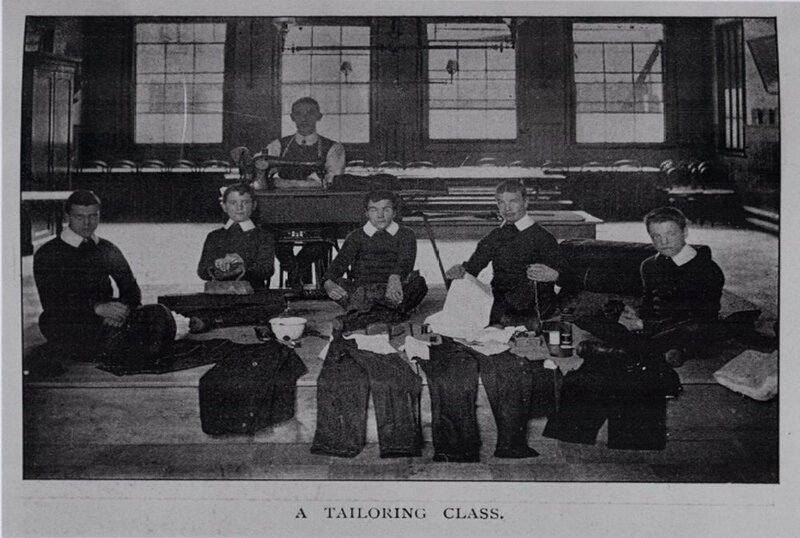 In this photo 5 boys sit with their tailoring work. They appear to have been making or altering pairs of trousers. They are all smartly dressed and sit in the same classroom as the other craft classes. A man, presumably their teacher, sits behind them, at a sewing machine. In this photo there are two rows of girls and women at benches. They are of varying ages. They have their knitting and sewing work in front of them. 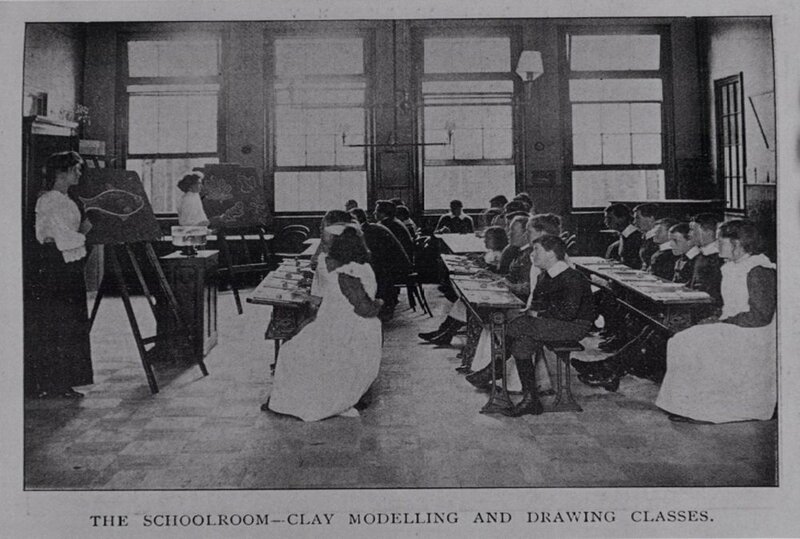 The classroom looks very similar, if not the same room, to the other craft classes. They are dressed smartly. They have a woman stood behind them, presumably their teacher. 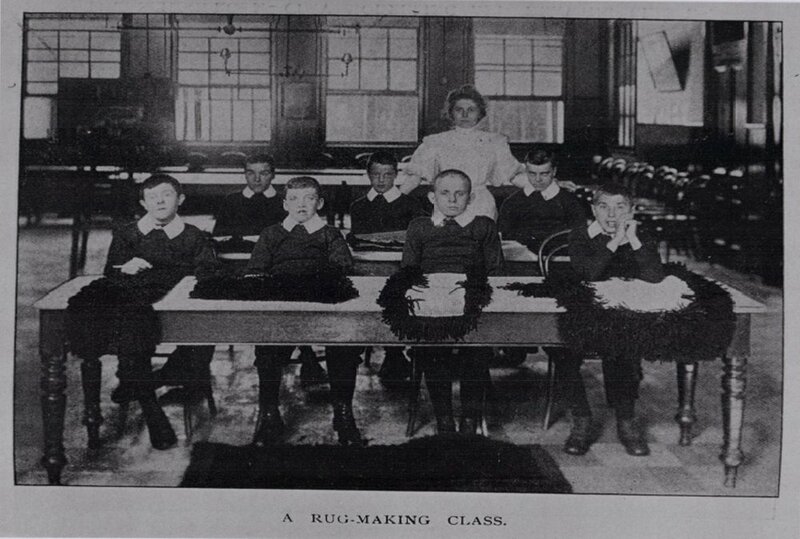 The ‘teacher’ looks like the same teacher in the rug-making class. 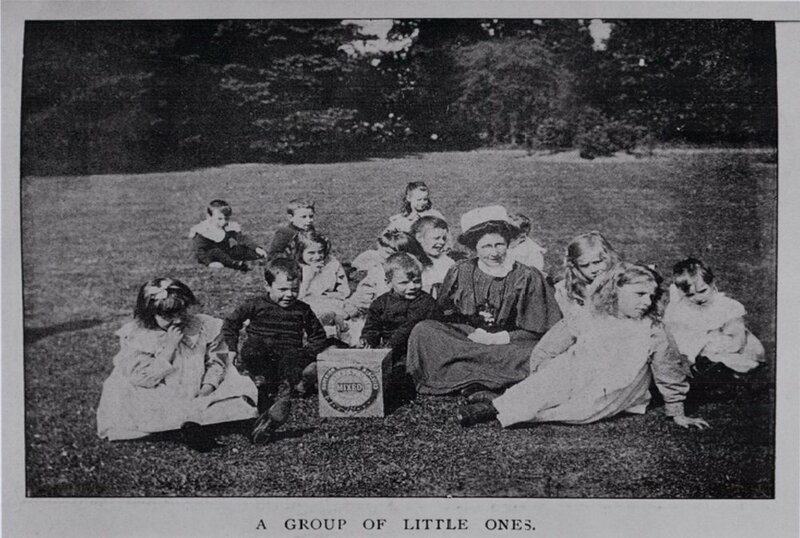 In this photo we can see a woman in a nurse’s outfit surrounded by a group of young children (‘little ones’). There are both boys and girls in the group. They are all dressed smartly. They are sat in the grounds of what is probably Middlefield. They are of varying ages. This photo shows a Dormitory from Middlefield Hospital. There are 8 beds visible, although 2 might be a type of cot. There is a table in the middle of the room, dressed in a lace tablecloth with flowerpots on top. Note how close together the beds are. In this photograph, 3 men of varying ages stand around a carpentry table. They are dressed in smart clothes and long white aprons. They are surrounded by lots of different tools.